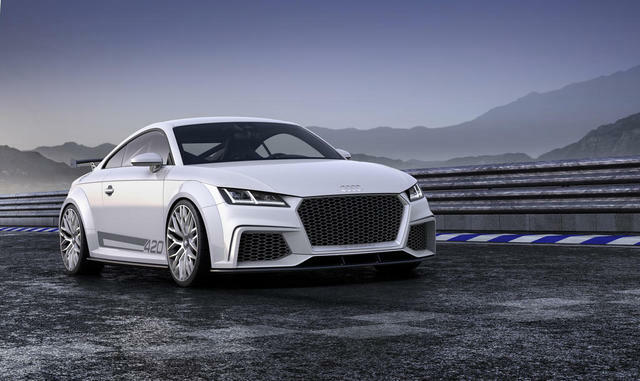 Stripped-out TT concept uses 414bhp 2.0 TFSI engine and will make production in low volumes. 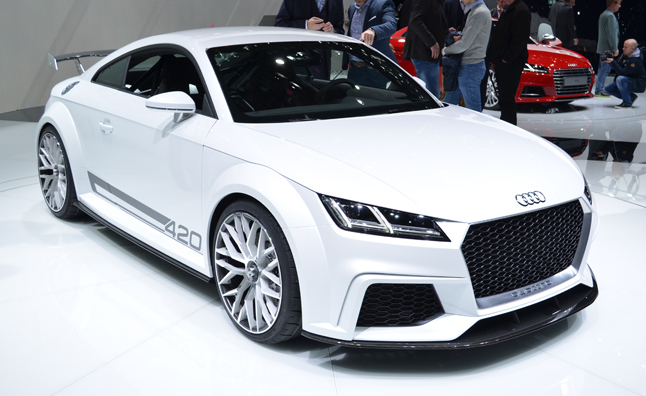 At the heart of the concept is a 414bhp 2.0 TFSI engine running 1.8 bar of boost and producing 450Nm of torque - if it makes production that will make it comfortably the highest-specific output of any engine on sale. Power is transferred to all four wheels through a twin-clutch S tronic gearbox, with a 0-62mph time of 3.7 seconds. The engine, which weighs only 150kg, was commissioned personally by Audi’s new head of development, Dr Ulrich Hackenberg when he started his role last summer. “When I came to Audi I asked for more power from the 2.0 TFSI, after a while we reached 400hp, but I said it wasn’t enough, so eventually we reached 420hp and I’m satisfied." Continue reading at Auto Express.